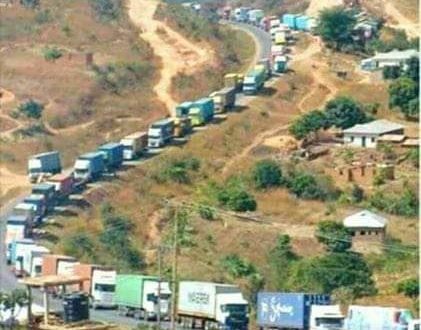 The causes of scramble observed today between Uganda and Rwanda are certainly multiple. But the Democratic Republic of Congo is one of the most important. One of the hot spots of political and security news in the Great Lakes region these days is, without a doubt, the tension that reigns between the power of Kigali and that of Kampala. Would it be a real conflict or a theater? Now, it is impossible not to notice the extent of such a quarrel of a boy and his godfather, tutor, trainer when, in their neighborhood, they come to the closure of the border contacts of their respective countries. The antagonism between Kigali and Kampala is not a fact of surface; it draws its depths into a distant past, interpreted as the story of a child rebelling against his tutelage. President Museveni, after having “made” Kagame into a head of state like himself, is led to make the painful experience of contempt and arrogance that he receives in compansation. together to this point. And yet, the Rwandans will decide to drive out Ugandans to remain alone master of the ground. A war, very scandalous by the damage done to the Congolese innocent of Kisangani, was engaged by the Rwandan army, resulting in the withdrawal of the Ugandan one to Ituri, in Bunia. Amazing reality: a son who hits his dad without mercy! construction of his Rwanda. Blinded by this ambition, Kagame’s obstinacy forced his army to get rid of the Ugandan presence on Congolese soil. Unfortunately, many people immediately believed in the defeat of Ugandan forces at the end of the Kisangani clash, instead of sacrificing the wisdom of an old Ugandan president who demanded the withdrawal of his forces to stop the damage that was taking place. this useless war. In 2009, Kigali’s ambition moves up a gear. The Rwandan president is putting together a nauci fi c espionage plan that targets all its neighbors and in the world. Considering the DRC as a country of office taken under his influence since the installation at the head of a Rwandan blood, Mr. Joseph Kabila, he had only to extend his actions on Tanzania, Burundi, Kenya and the United States. Uganda. The biggest actions of this program were the kidnappings and murders of the political opponents of the RPF regime both in the sub-region and in the world. Rwandan general Patrick Karegeya paid with his life in South Africa, his colleague Faustin Kayumba Nyamwasa continues to survive after escaping several deadly attacks. Taking advantage of the elasticity of the historical fraternity of the Kampala and Kigali regime, the latter will organize, with the complicity of its secret agents infiltrated in the Ugandan security services, the deportation of the multitudes of Rwandan opponents exiled in Uganda. These actions have continued to these days in the United States, Europe, Canada, Great Britain, several African countries and the world. Democrat claiming could treat opponents to the ruling regime. soldiers to the DRC. At the end of the official withdrawal of Rwandan soldiers from Umoja Wetu, only 3,000 soldiers were the object of the official ceremony organized for this purpose. 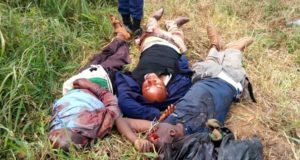 The remaining 12,000 were infiltrated into the FARDC under the cover of the former CNDP, and with the complicity of Congolese leaders, to become what is informally identified to Rwandophone regiments of the FARDC. These have laid the foundations of the eviction of genuine Congolese within the national army which we see the accomplishment of our day. In 2012-2013, the phenomenon of the M23 rebellion marks its history in eastern DRC. Kigali asked his puppet of Kinshasa to fabricate this pseudo-rebellion for a multiple purpose, the main one being to open the corridor through which Rwandan subjects (Hutu and Tutsi) were to be deported to the DRC to support the occupation of the country. land in Kivu and Ituri. – But Kigali identifies another puzzle in this ambition is the rapprochement of the Nande people and the Hema on the one hand, and the rapprochement of the Nande community with the power of Kampala on the other. In these conditions, Kigali discovers a real restriction imposed on his plan to invade Beni-Lubero and Ituri. visible on Ugandan soil. 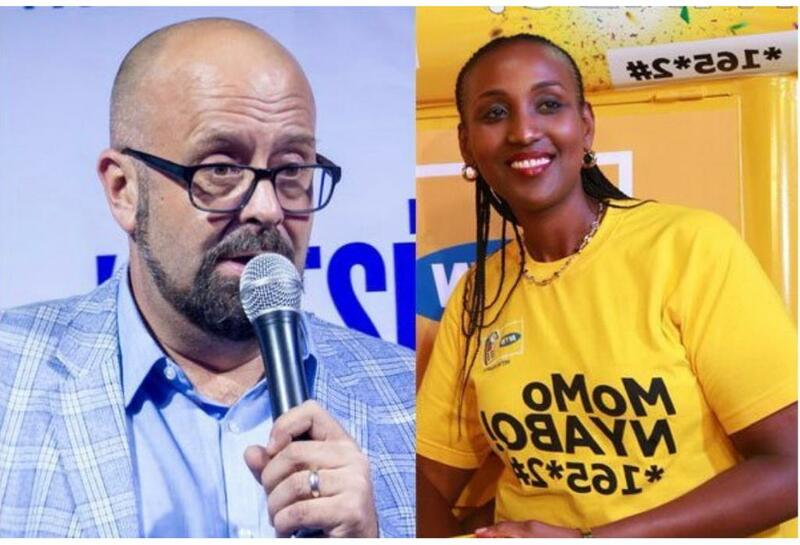 The telecommunication service of MTN, through the French Olivier Prentout and the Rwandan Annie Bilenge Tabura, has been instrumentalized to spin the communications of the top authorities in power in Kampala, up to the President of the Republic. The two wrongdoers were expelled from the country after being unearthed. Finally, the biggest scandal in this story has been the arrest of Kigali’s chief collaborator in the person of Ugandan National Police Inspector General Kalle Kaihura as he tried to flee to Rwanda. An extensive network of dual agents was then detained within the Ugandan National Police, several of whose officers were also arrested. It is necessary to underline the evidence of the Kinshasa power’s involvement alongside the Ugandan traitors used by Kigali against President Museveni and his regime. Among the Congolese military officers of the FARDC arrested in the same circumstances in Kampala, it is worth mentioning General Kakolele and Col Pacifique officer of the Presidential Guard. Kabila and Kagame wanted to hide from the world this genocide that decimated lives in Beni by accusing the ADF. The fact that Museveni openly acknowledged and denounced genocide shocked them. There are more and more displaced Rwandans leaving Rwanda for Uganda because of the closure of the common border between the two countries. The life of the Rwandan peasants is severely affected by the consequences. It should be remembered that Uganda is characterized by its hospitality which has attracted more than one million refugees from its neighbors to its national territory. the FDLR and RPF dissident, Kayumba Nyamwasa, is simply dishonest and hypocritical, when there is the necessary evidence that these two Rwandan rebel groups are rather maintained on Congolese soil, in North Kivu. in South Kivu, by the Kinshasa regime, in addition to instructions from Kagame himself, to serve as an alibi for the eternal presence of Rwandan government forces in the DRC.